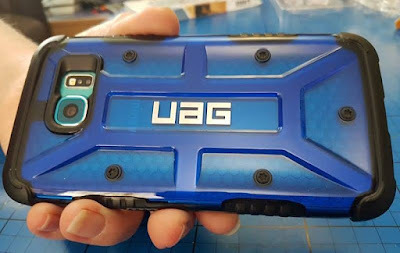 The Brick Castle: Urban Armor Gear Phone Case Review. My phone has a hard life. Not only is it constantly on, in use and out of memory, but it gets dropped, banged and bashed a lot. Urban Armor Gear make rugged, lightweight cases which are drop-tested to military standards. Designed to protect your precious equipment from all that life, and your 6 year old, can throw at it. Not only do these cases offer great protection, they are designed not to affect ease of use for your phone, and they're gorgeous to look at. Available in the usual black and white, and also in a range of gorgeous colours. I was tempted by Magma (deep red), but chose cobalt (blue) as I have a blue phone, and I've had no end of positive comments since it arrived. 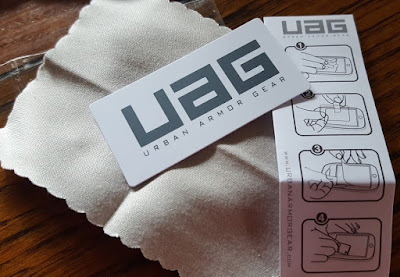 Super quick to order from the Urban Armor Gear website, it took about 2 minutes. Urban Armor Gear use Dollars throughout their website, which I think confuses a lot of people, but you needn't let it. Your Debit Card, Credit Card or Paypal account will automatically exchange your £'s to $'s. 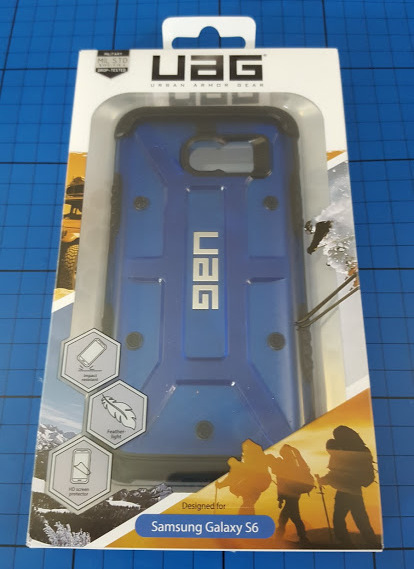 The case arrived quickly, around only 4 days, which was very impressive. Included in the box there is also a screen protector and anti-static cloth for applying. The case is really light and quite soft actually, including the black parts. 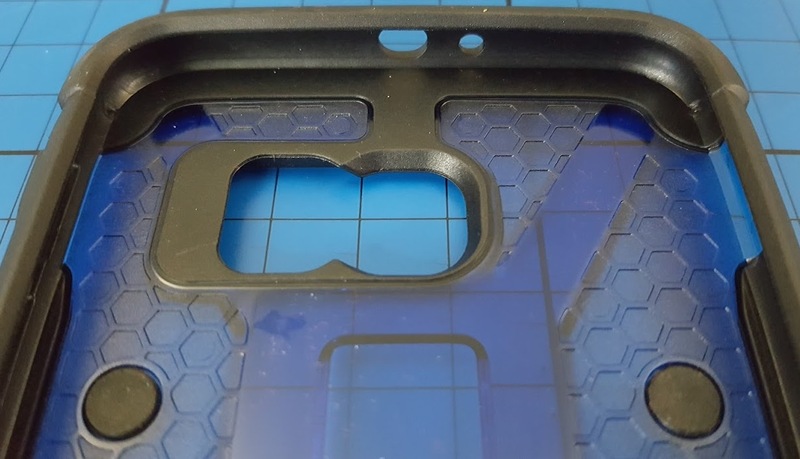 It is quite tight, but no struggle to put on, and there are no fiddly bits as the case simply covers the back and then grips around the phone. This isn't a waterproof case, but it'll help in the event of a splash. The buttons press really easily, they're covered by loose rubber sections that move, and it works very well. The Urban Armor case feels good and chunky, and it's rubber cushioning is thick and useful. 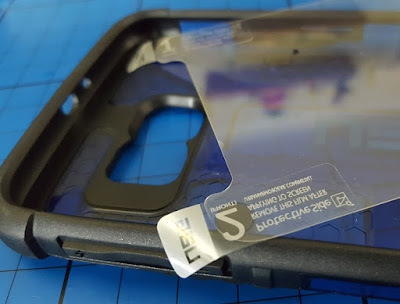 I've had the case on my phone for 3 weeks now and it shows no bumps or scratches, it's performed well, but hasn't yet (thankfully) been put to a serious test. It looks gorgeous, very striking and a lovely shade (instant gasket blue has long been one of my favourite colours). I genuinely have had several comments about how good it looks, which is pretty good for something that is there to do a useful job. 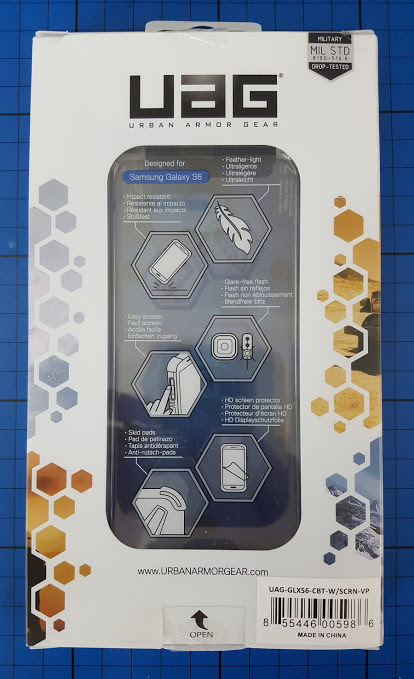 Currently the exchange rate puts my $24.95 Samsung Galaxy S6 Phone Case at around £19.27. Under £20, and good value at that price. Urban Armor Gear ship FREE worldwide, and offer a 1 year warranty and US-based customer support. I was sent my Urban Armor Phone Case for review.Armor is the American spelling, and correct in the manufacturer name.